Top Shelf Blueberries @ Fall Creek Nursery | Plants. Varieties. Farming. Exclusive to Fall Creek Genetics™, the Top Shelf blueberry is notable for its very large, flavorful, firm fruit. While similar to Draper in many ways, Top Shelf blueberries seem to excel in areas such as plant vigor, fruit size and flavor. 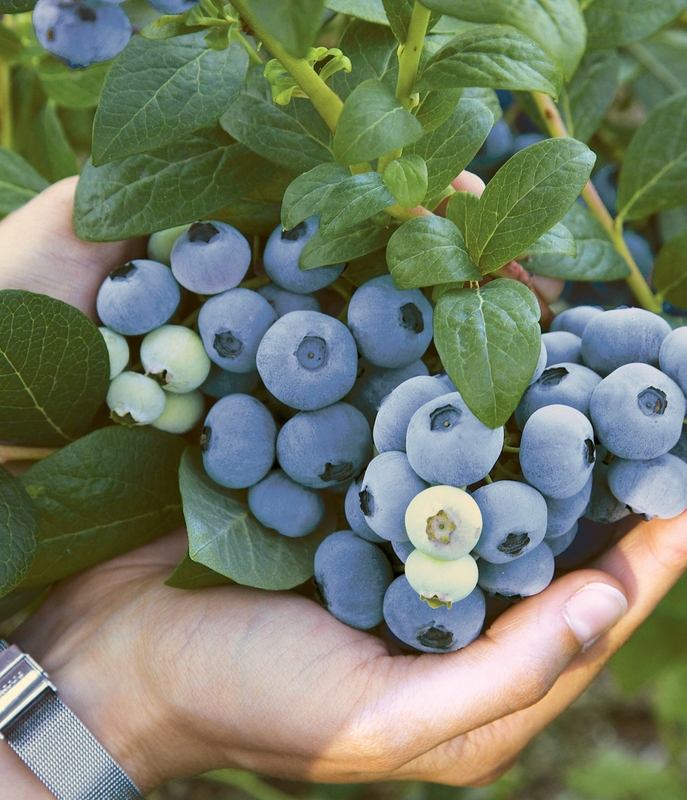 We recommend Top Shelf blueberries for commercial plantings in High Chill regions with milder winters. Top Shelf is a high chill cultivar that has performed excellently in all commercial trials planted throughout Europe, even in high chill regions where winters are not too cold. It has superb fruit quality that is catching the attention of many European marketers. It is a strong plant, easy to prune, and has high yields at a young stage, mainly due to its very large fruit size.